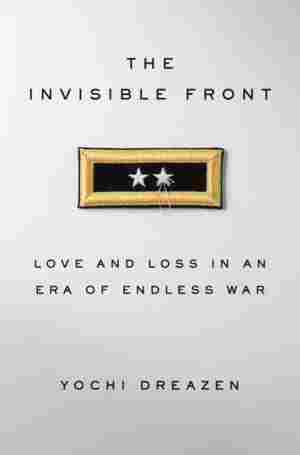 The Invisible Front NPR coverage of The Invisible Front: Love and Loss in an Era of Endless War by Yochi Dreazen. News, author interviews, critics' picks and more. Traces the story of how Army Major General Mark Graham and his wife Carol have channeled grief into advocacy on behalf of victims of mental illness in the aftermath of losing one of their sons in a roadside bombing and the other to suicide. October 4, 2014  In The Invisible Front, journalist Yochi Dreazen tells the story of the Grahams, a close-knit family that lost two sons in the span of a year and then took up the fight against military suicide. The call came just after midnight, waking Colonel Mark Graham and his wife, Carol, instantly. Mark worked for the four-star American general charged with protecting South Korea from a sudden attack by its mercurial neighbor to the north, and his job required that he be notified of any emergency, regardless of the hour. He reached for the phone expecting to hear one of his subordinates. Instead, Mark heard the muffled voice of his older son, Jeff, an army lieutenant stationed in Kentucky who was getting ready to deploy to the battlefields of Iraq. "No, Jeff, no," Mark said, shaking. "Tell me it's something else." Carol, who had put her own life on hold to follow Mark to postings around the world, sat up in bed, her mind spinning. She knew that her three children partied hard and had a weakness for alcohol. Had one of them gotten into an accident or been arrested for drunk driving? Melanie, the youngest member of the family, had once downed so much alcohol during a frat party her freshman year that she passed out and had to be carried back to the off-campus apartment she shared with her two brothers. Had she done so again? Carol realized it was something much worse when Mark put his arms around her and dropped his voice to such a quiet whisper that she initially had a hard time hearing him. "Kevin hung himself," Mark told her. "He's gone." Carol tried to stand and then crumpled to the floor. She loved all of her kids, but Kevin, the middle child, had always been particularly special to her. Tall and burly, with a shy smile and a dry sense of humor, he was the perfect son — brilliant, kind, and always willing to put others before himself. When the children were young, Jeff sometimes locked Melanie into a closet as a joke. Kevin would wait for his older brother to leave and then open the door and let her out. As a senior in high school Kevin notched a 1310 on his SAT and graduated with a 4.07 GPA. He won a full academic scholarship to the University of Kentucky and was a top cadet in the same Reserve Officers' Training Corps program that Jeff had completed just one year earlier. Kevin's ROTC instructors regularly told him that his future in the military was boundless, that his career might one day outshine his father's. But Kevin had another side, one that his parents didn't discover until after his death. He had been diagnosed with depression during his junior year at Kentucky, and prescribed Prozac. Kevin hadn't told many people that he had begun taking an antidepressant. Depression was seen as a sign of weakness in the military world that Kevin was preparing to enter, and psychiatric medications such as Prozac were thought to make soldiers unreliable and unstable. Kevin wasn't in the army yet, and his military career wouldn't begin until he finished ROTC the following year. But he began to worry that he wasn't going to make it. He was set to spend his entire summer in army-run training courses, and he felt increasingly certain that his ROTC instructors would discover that he was taking the medication and boot him out of the entire program. The risks of staying on Prozac, he concluded, far outweighed the benefits, so Kevin abruptly stopped taking the medication. Alone with his disease, Kevin Graham began spiraling downward. His grades plummeted, and he cut ties with most of his friends. On June 21, Jeff stood in the parking lot of a nearby golf course and scanned the road for his brother's aging green Honda. They'd made plans to play a round of golf that Saturday morning, but Kevin hadn't shown up. Jeff called his brother's cell phone again and again, but the calls went straight to voice mail. Suddenly alarmed, Jeff called Melanie and asked her to check in on Kevin. Phone in hand, she opened the door to Kevin's bedroom and suddenly went completely silent. Her brother was hanging from the ceiling fan, his feet almost touching the floor. Mark and Carol made it onto the first plane back to the United States and landed in Louisville on June 22, less than a day after Kevin's death. Numb with shock and grief, they struggled to keep their composure as Kevin was buried on a grassy bluff overlooking the slow-moving Kentucky River. Less than a year after Kevin's suicide, Second Lieutenant Jeffrey Graham was on a foot patrol near the insurgent stronghold of Khaldiyah when he spotted a buried IED. It exploded just as he turned to warn his men to stay back, killing him and one of his soldiers but saving the lives of the rest of the platoon. Jeff was buried next to his brother, which struck Mark and Carol as appropriate. Their sons had been inseparable in life. They would be inseparable in death as well. In the years ahead, Mark and Carol would struggle to come to terms with their twin losses. They would draw purpose from their sons' deaths by working to change the military that defined both their lives and those of Jeff and Kevin. They would fight to erase the stigma surrounding mental health in the army and battle its growing suicide problem. Kevin hadn't served a day in the military when he killed himself, but Mark and Carol would come to understand that the factors that kept him from seeking help — stigma and the legitimate fear that he'd be drummed out of the military if his commanders discovered that he was on prescription medication — were the exact same ones that would lead hundreds of soldiers to take their own lives in the years ahead. They would become experts in post-traumatic stress disorder, the signature wound of the wars in Iraq and Afghanistan and one of the biggest causes of the suicide epidemic just beginning to spread through the military. They would learn that the Pentagon hadn't had remotely enough psychologists and psychiatrists to handle the flood of troops returning home from the wars with PTSD or depression, forcing some soldiers to wait so long for an appointment that they killed themselves before ever seeing a counselor. Mark and Carol would also watch, horrified, as the numbers of soldiers taking their own lives grew larger and larger. The military's suicide rate jumped more than 80 percent between 2002 and 2009, the first year that the percentage of troops who took their own lives was higher than the percentage of civilians who did so. In 2012 more soldiers died by their own hand than in combat. In 2013 the total number of military suicides since the start of the wars in Iraq and Afghanistan passed the 1,000 mark. In 2014 the Pentagon disclosed that the suicide rate for male veterans age thirty and younger had jumped 44 percent between 2009 and 2011, a startling figure that suggested that the number of younger soldiers choosing to take their own lives would continue to increase well into the future. Mark and Carol Graham have devoted their lives to preventing that problem from getting worse. Mark rose through the ranks of the army and was eventually promoted to general, a post that gave him the power to develop innovative suicide prevention tactics that dramatically reduced the suicide rate at the base he commanded and would later be replicated throughout the military. Carol told the story of her lost sons to audiences of strangers all over the country, publicly reliving the most painful moments of her life in the hope of persuading troubled young people to seek help before making the darkest of choices. Suicide has become the military's newest war, and Mark and Carol are squarely on the front lines. Ten years after their sons' deaths, they're still fighting. Reprinted from The Invisible Front Copyright © 2014 by Yochi Dreazen. Published by Crown Publishers, an imprint of the Crown Publishing Group, a division of Random House LLC.